This week, the PGA Tour heads to the Pacific Palisades located on the westside of Los Angeles, California for the Northern Trust Open held at the Riviera Country Club. World No. 3 Rory Mcilroy is making his Riviera debut and will be teeing it up alongside the world No. 1 Jordan Spieth. In fact, 5 of the world’s top ten will be in action this week at the Riviera Country Club. The Riviera is one of the most popular courses on the PGA tour, designed by golf architect George Thomas, this championship course has hosted 1 US Open, 2 PGA Championships and a US Seniors Open. Checkout our YGT Predictions of who we think will come out on top this week in California. 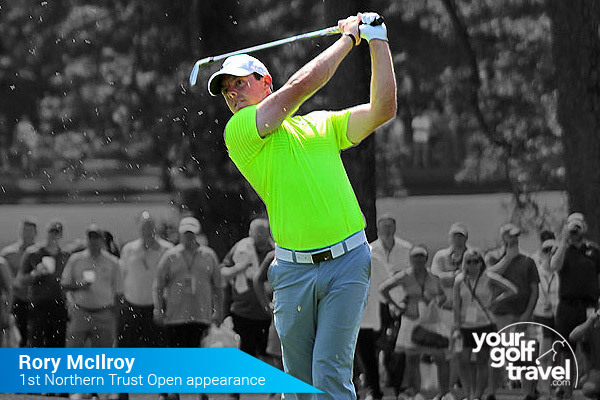 Rory is making his Riviera Country Club debut this week. He will be teeing up with world no. 1 Jordan Spieth. 5 of the world’s top 10 will be in action this week and Rory will be eager to get his first win of the 2016 Season as we get closer to the first major of the year. He will be seething from coming up just short last week and will want to make amends straight away. He is clearly swinging well and a little more work with the ‘short stick’ and I think he will go up a notch on the leaderboard this week winning for the first time since 2013. You can’t write off such a class player, you know what they say; ‘form is temporary but class is permanent’! Looking past the marquee names, I think Bill Haas could spring a surprise here. He finished tied 8th at the AT&T with 3 rounds under 70 and has finished in the top 25 in four of his last five starts at the Riviera Country Club, including a win when he defeated Keegan Bradley in a play-off in 2012. 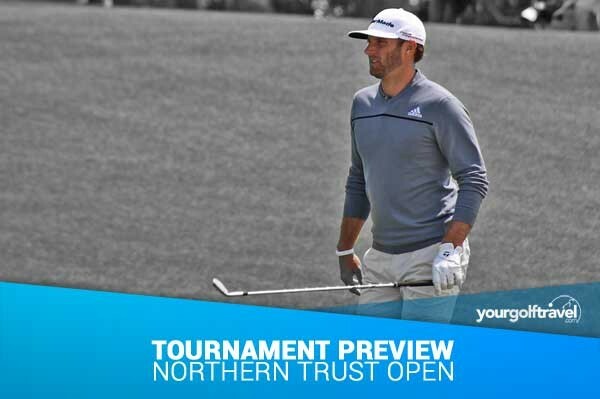 It’s tempting to go for either Jordan Spieth or Rory McIlroy, world number’s 1 & 2 respectively, when it comes to picking the winner of this week’s Northern Trust Open. Spieth’s magical putting will no doubt serve him well on Riviera’s tricky putting surfaces and he finished T4 last year. Rory’s driving will also be a handy weapon on a course that requires you move it in both directions off the tee and with a win and finished of T3 & T6 in his last 3 worldwide starts, Rors will be looking to close the gap on Jordan Spieth in the World Golf Rankings. But with both at such short odds, I’m looking elsewhere for some value for money! Starting to get his game in shape this year and will be there or there abouts. The course should suit his creativity and Sergio finished 2015 strongly. You never know quite what you’re going to get from him but if he can hole a putt or two he might have a sniff. Dustin Johnson has shown pedigree round Riveria Country Club before and was just a shot shy of landing the title last year. His driving, as with every tournament, gives him a huge advantage over the field. In 2016, Johnson is averaging 313 yards off the tee which has helped him get to nearly 5 birdies a round on average. With scoring expected to be impressive due to the incredible field that is assembled it’ll be someone who can go low and limit the damage who will be in the mix on Sunday. Thinking about a golf holiday to California now? 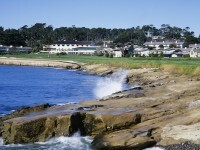 Checkout Your Golf Travel to see our latest offers to California and beyond. Furnace Creek Golf Course: The world’s most extreme golf course?